I have to admit, holiday destination hunting as an on and off broke student literally comes down to one factor for me- Where can I find the cheapest flights to in this time period? Once my destination was decided after scoring a great deal on flights, I started hunting for travel tips for my upcoming Sicily holidays. To say that I was disappointed at what I found, would be an understatement. I didn’t get it. Why were more people not giving travel tips for Sicily? I guess one reason could be that most people traveling to this unbelievably beautiful island were either on an all inclusive family holiday or couples that didn’t blog about their travels. Even so, after having spent a week in this amazing Mediterranean find, I would definitely want to write for an average budget traveler that would love to explore a new place in Europe which is nearly not as crowded or as expensive as say Mallorca or Ibiza. I spend so much of my time working to save money for my travel adventures that I really like to know what I am doing once I actually end up somewhere. I do not plan every day or every hour of my holiday but I do like to make a few rough plans and remain flexible once I get there. These fixed plans usually include, booking cheap flights, booking cheap hotels or accommodation and having a broad idea of the places I would visit during my trip. 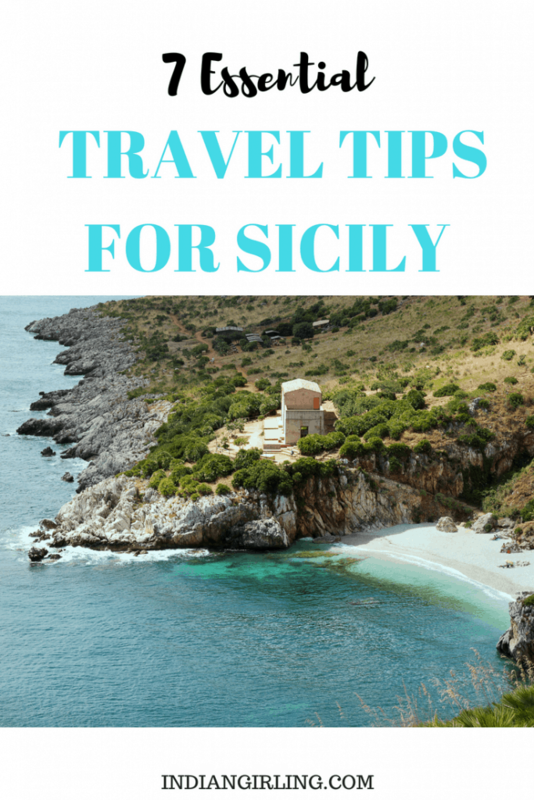 Here’s my top travel tips for the best Sicily holidays! Tip #1 Rent a car for the duration of the whole trip. Tip #2 Buy public transport tickets in advance. Tip #3 Try out the amazing and diverse street food. Tip #4 Stay with the locals. Tip #5 Protect yourself by packing the most important essentials. Tip #6 Keep an eye on your belongings. Tip #7 Shop your heart out before you leave this beautiful island. Owing to the fact that I am a German resident, I am unable to drive on my Indian license and I haven’t yet had the time to pass the German driving test. I hear 1 in every 4 that takes it actually fails. So well, not happening soon. This means I was unable to rent a car for our time in Sicily, Italy. This doesn’t make me unaware of just how much better your life will be if you do take a rental. Public transport is exhausting to figure out, sketchy and some times just unavailable. This goes for all modes of public transport, so unless you have a month to explore this island, I’d say the best way to move around is definitely by your own car. Some places such as national parks or hidden beach caves are also not accessible by public transport, so you’ll be stuck to main towns and tourist attractions only (like we were). In principle it should be possible to buy tickets directly in the bus or in the train, but in practise I found that extremely difficult. Almost no one in Sicily speaks English, and they do not care whether or not you have a ticket. However, you do have a high chance of getting fined if a random check does occur. On the bright side, local kiosks on street sides sell bus tickets so you can pick those up before you plan to board one. For trains, you can buy them online at Trenitalia which is what I did or you could head to the station directly and buy there itself. As I was travelling during peak season, I didn’t want to risk not getting a ticket and missing out on my day trips entirely. I was surprised by how cheap, easily available and totally amazing the street food in Sicily was. There were fried pastries, fruit stuff, ice cream sandwiches and what not. You could find vendors in most main streets and near major tourist attractions. Some vendors would sell coconuts and other special food items at the beach too. A regular street food item would cost you about 1 euro which is nothing when you compare to the cost of street food in main land Europe or even other parts of Italy. I cannot stress how important it is to stay with locals for at least a day or two in a place like Sicily. As I mentioned English is not widely spoken, so having a nice host can make all the difference to your trip. Our host was nice enough to pick us up and drop us at the Palermo airport for a pre-decided charge at some what odd times and went out of his way to make things comfortable for us. He also gave a ton of free information on things we could cover and not cover as we were relying on public transport. I would usually suggest Airbnb (click here to get $40 Travel Credit), however as I booked very last minute I went on booking.com to find some good guest house type apartments. The deal I got was incredible for the time of the year and even though it was hot and a bit noisy, I didn’t mind being 5 minutes away from the city centre and having a nice balcony to ourselves for less than $40 a night. You should read my extensive travel hacks on how I find the best hotel deals when I travel. Irrespective of when you plan to visit this beautiful island, you should certainly pack smart, pack light and pack well to make the most of your holiday. Apart from the essentials mentioned in these two lists, if you are travelling in summer, I can only recommend you to carry enough sunscreen. I found it hard to find a good bottle easily and it seemed to be way more expensive than the rest of the island on the products. Although nothing crazy happened to me, I get the sense that in peak tourist seasons or in crowded places, it would be easy to lose your valuables pretty fast. Sicily is not known as the safest island in the Mediterranean and even though it’s still very safe compared to the majority of the world, petty crimes such as pick pocketing may occur from time to time. I have also heard of valuables being stolen from parked cars. Needless to say, it pays to be vigilant on your travels and not have all your valuables on you when out or about. You could also ask for the hotel lock or carry an extra one with you as a backup. When out alone during the nights in quiet alley, do be aware and try not to travel with a lot of valuables at the same time. I always love shopping in Italy, not only because it has the cutest boutique stores in Europe, but also because it’s a lot better value for money than buying something from a mainstream branded store in Germany for example. I love the sense of fashion, design and luxury that Italians have and it definitely reflects in their local stores. Make sure to pick up a few special and unique items for your wardrobe or home to take back with you as souvenirs. 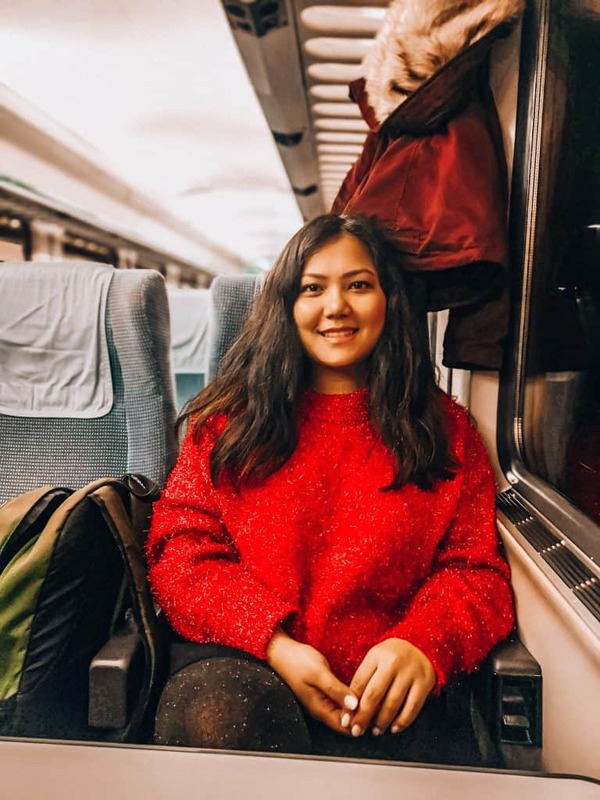 If you liked this post, you may also want to check out my Ultimate Travel Europe for Cheap Guide where I explain exactly how I managed to travel to 8 countries for 3 months on less than $1000 a month. You can also skip to my travel resources to find my favourite money saving travel tools and start planning right away! Great writeup! I love Italy but haven’t been to Sicily yet, so I’ll be sure to bookmark this!